The drive to Carlisle last night was mostly horrible. A lot of rain and the related surface water and spray on the M6. The first part of the drive from Carlisle to Islay wasn't much better. Again quite a lot of rain (although with sunny intervals) to start with. 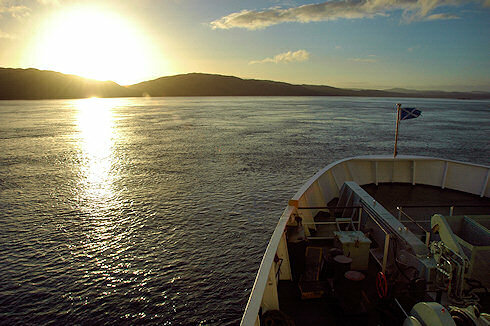 But it was all compensated with the ferry crossing and the arrival on Islay. I'm writing this from The Monachs on the Rinns of Islay, where I was made an excellent welcome by Ronnie and Marie on my arrival. 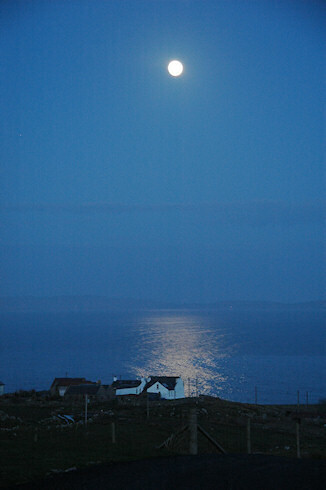 It was almost dark when I arrived, but from what I can see under the full moon light the views are stunning. Weather permitting I'm hoping for more great views over the next few days. If I wake up early enough I'm hoping to catch a sunrise.